Now the snow has melted and the clocks have sprung forward brighter evenings are with us as is the arrival of Spring. The Wykeham Gallery have just launched a wonderful three person show, which is bursting with colour and a diverse combination of mediums, including oils, plaster and mixed media. Soraya French, is not only a local artist but is also the President of The Society of Women Artists. Soraya loves to play with luminous and vibrant colour, whilst creating a surface texture for her depictions of flowers, landscapes and ethnic figures. 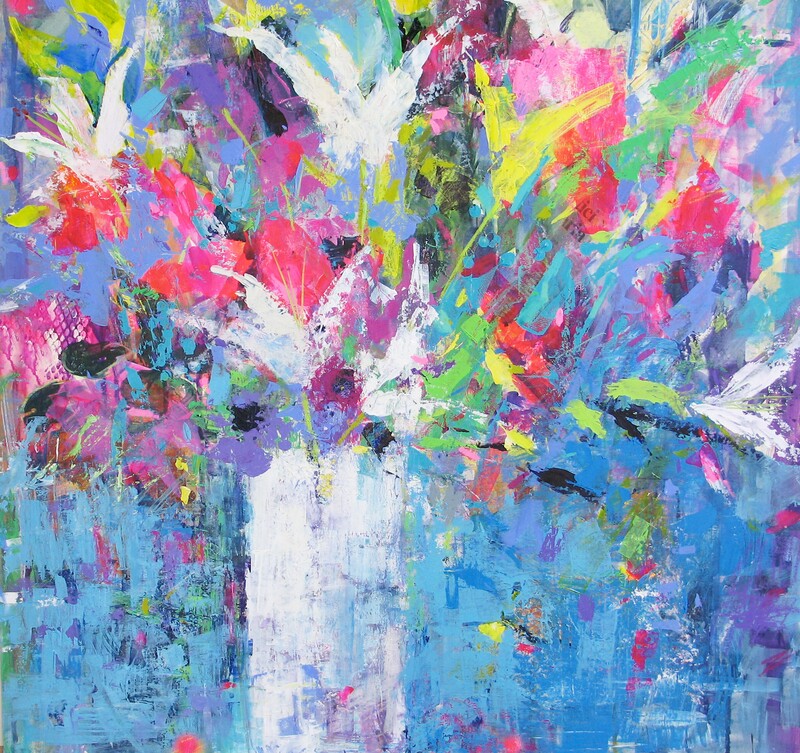 By combining recognisable elements with the abstract Soraya connects with the viewer to make the experience a joyful and colourful event. 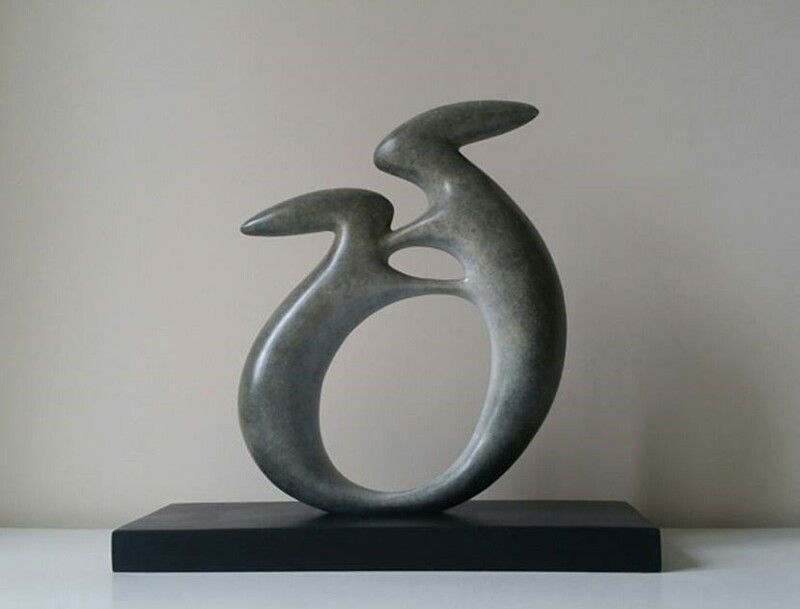 Peter Kettle, is a young Welsh artist and an elected Fellow of the Royal Society of Arts (FRSA), as well as the Royal Cambrian Academy (RCA) who is passionate about his Welsh homeland. Peter loves to celebrate these Welsh landscapes, with a variety of media that he uses in his work which include watercolour, oil, acrylic, inks and plaster. In the mid 1800’s there was an immigration of the first settlers from Wales to Puerto Madryn in Patagonia, and in 2017 Peter retraced their footsteps. To record this event Peter produced some wonderful paintings of his trip through his eyes as a 21st century explorer, which has proved to be an enriching and inspiring chapter in his life. 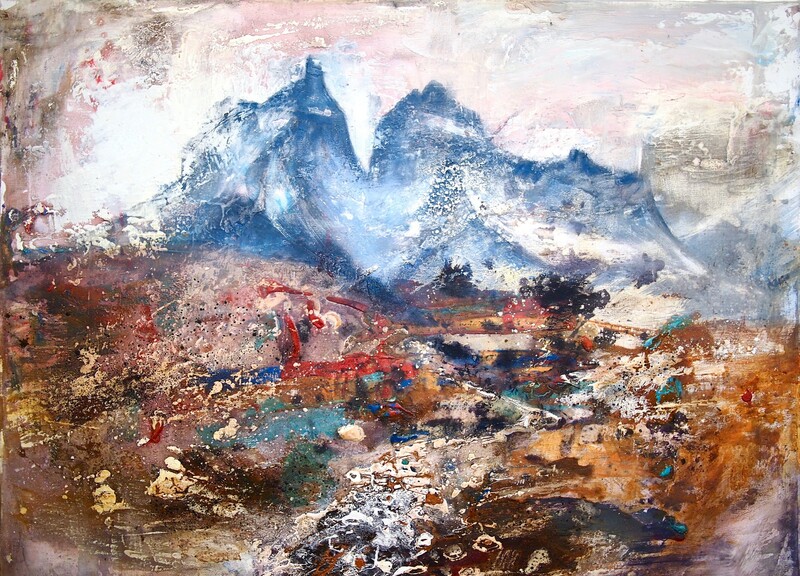 Peter not only paints en plein air but with the diversity of media incorporated into his work his landscapes have their own unique textured ruggedness, which is so indicative of his work. 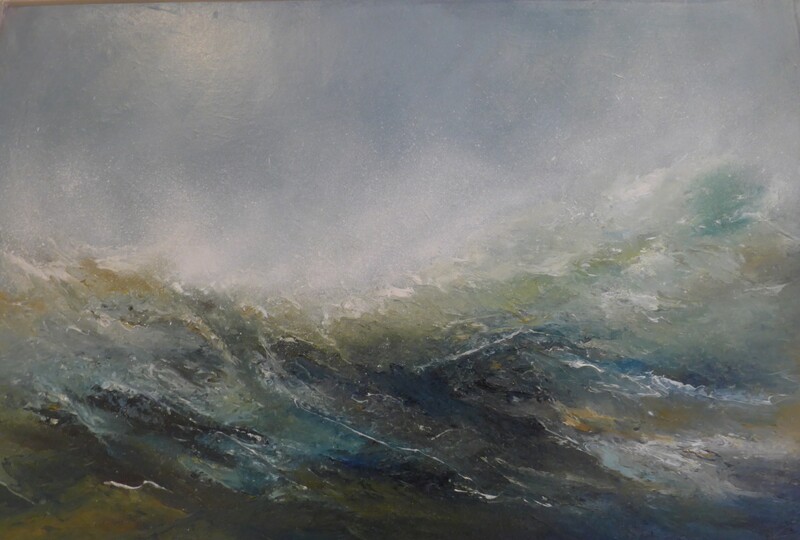 Jennie’s works are drawn from reality but lean towards the abstract and the atmospheric, all illustrating the enormous power of the sea and the energy and passion that it evokes. Nic Fiddian Green, is our final cause for celebration and whose silk screened prints Horse at Water, are for sale at the gallery. Nic’s inspiration for horses dates back to his Chelsea Art School days when he first saw the Horse Of Selene late of the Parthenon in Athens on display at the British Museum. 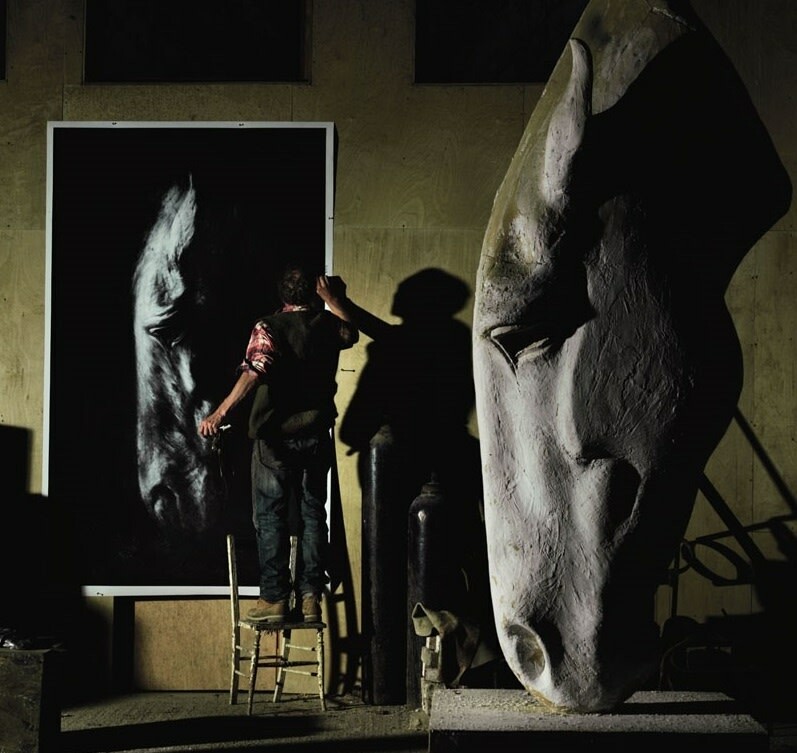 Although he doesn’t know exactly why it has been such a major inspiration its influence has been very important to his work creating horses heads on the grand scale he does. Recently Nic had a huge statue erected in Surrey alongside the A3. Nic hopes this will slow the rushing traffic and that people will be uplifted by seeing this work. It is a reminder of our roots when the horse was the only mode of transport within the creation of early London and how the natural world is still thriving in modern times. We hope everyone had a very happy Easter and we look forward to welcoming you to the gallery and the sculpture garden which is open again as Spring unfurls.